Homework due dates will be on the course moodle page; assignments will be turned in on moodle as a single pdf. Late homework will be penalized 25%, and won't be graded after 1 week. We will go over any questions on the homework the class before it is due. If your initials are next to the problem, you are responsible for presenting an outline to the solution in class (not the entire solution, but enough to get everybody working in the right direction). If you have questions about the problem you are to present, please come see me the day before - but please don't do so right before class..
Before doing assignment 0, you may wish to read my E11/E12 review. Note: the solution to problem 9 is the solution to the "Relaxation Oscillator" of the second lab. The ADC on the MSP430 has 10 bits. 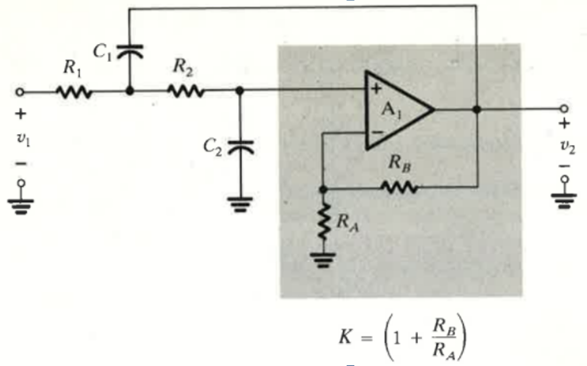 If the reference voltage is Vcc=3.3V, what is the resolution. The 3.3V power supply is usually not very accurate (+/-5% or so), so for more accurate conversions, the ADC10 has a 1.5 and 2.5V reference (see page 535 of the data sheet). Assuming the sensor is perfectly accurate, and the ADC10 reference voltage is set to 1.5V (and is also perfectly accurate), how accuarately can you measure tempearture in Celsius (see page 550 of the data sheet). Use the code below as the basis for a program that toggles the LED every time you hit the push button on the LaunchPad using interrupts on the push button input. Also add comments to the code. Why is the variable pbFlag declared to be volatile? // don't forget the include file. // Add your code to set up ports.
" _BIS_SR(LPM3_bits + GIE); // Go into lpm3 and enable interrupts ". download the file at MSP430G2x53, MSP430G2x33, MSP430G2x13, MSP430G2x03 Code Examples (Rev. I) . Go to the "C" folder. The readme file briefly describes what each example is. File is also attached to this message. Go to CCS (Code Composer Studio) and go to View→Resource Explorer, and then open Software→MSP430Ware→Devices→MSP430G2553. Repeat previous but use the DCO oscillating at 1 MHz as your time base. The flash rate should be very near 1 Hz. Now that we have covered timers in class, add comments to the sample code (E72Lab5Template.c) to make operation of each part clearer (you don't need to comment the oscillator code in the block comment). The commenting should be good enough that anybody in the class could follow it. You can include a document that describes the mode of operation of the various peripherals (so you can use block diagrams and images from the documentation (documentation is here (look in MSP430G2553 Family User's Guide and Device Specs)). Show that the circuit in Figure 16.37 have identical transfer function and explain why the second circuit uses one fewer op-amps. 16.28 Also, determine ω0 and Q. No more than 3dB of attenuation below 3kHz. At least 50dB of attenuation above 8kHz. Design a circuit to implement the filter above. Use the unity gain Sallen Key low pass filter with 10kΩ resistors. The top image is Sallen-Key low pass circuit, followed by the equation for the transfer function, followed by the unity gain Sallen Key low pass filter normalized to ω0=1. To set cutoff to ω0=1/(RC), set R1=R2=R, C1=C·(2Q), C2=C/(2Q). In the circuit below, if Cα=Cβ=C find Rαand Rβ (in terms of R and Q). such that the circuit below is a high pass circuit with ω0=1/R·C. Hint: we are looking for a relationship akin to C1=(2Q)C, and C2=C/(2Q) from the previous problem. You should work on labs in groups of three or four, you will turn in one report per group. Lab 1 (Schematic entry and layout) Due at noon on 9/8. Lab 8 (The Robot) Due Nov 13th. Problem Session: Tuesday evenings, 7:00-8:30, Sci 158. This is an older edition of the textbook, and we will only be using a few chapters. You should be able to get it more cheaply than the most current edition (note that is is the 6th edition), but since it is an older edition the bookstore won't carry it. Amazon link. Useful refence, but there is no need to purchase: Op Amps for Everyone, available online (expanded print copy is also available on Amazon - the online version is sufficient for this class). Meeting with me: Check my schedule for office hours (I will try hard to be available then), but feel free to drop by anytime I am in my office. If you are having trouble contacting me, either call or email me. Labs: I expect labs to be done as a group. Each group will submit a single report (with all members of the group listed). Groups should work independently of one another - you may discuss particular issues, but do not share data or reports. Projects: Projects may be either individual, or as a group. Exams: Exams are to be solely your own work. The format of exams will vary, but it is never permissible to seek help from another individual. If you believe that you need accommodations for a disability, please contact Leslie Hempling in the Office of Student Disability Services (Parrish 113) or email lhempli1@swarthmore.edu to arrange an appointment to discuss your needs. As appropriate, she will issue students with documented disabilities a formal Accommodations Letter. Since accommodations require early planning and are not retroactive, please contact her as soon as possible. For details about the accommodations process, visit the Student Disability Service Website. You are also welcome to contact me privately to discuss your academic needs. However, all disability-related accommodations must be arranged through Leslie Hempling in the Office of Student Disability Services.